A: Ask about their experience – direct is best! The person should be 100% clear what you’re asking. 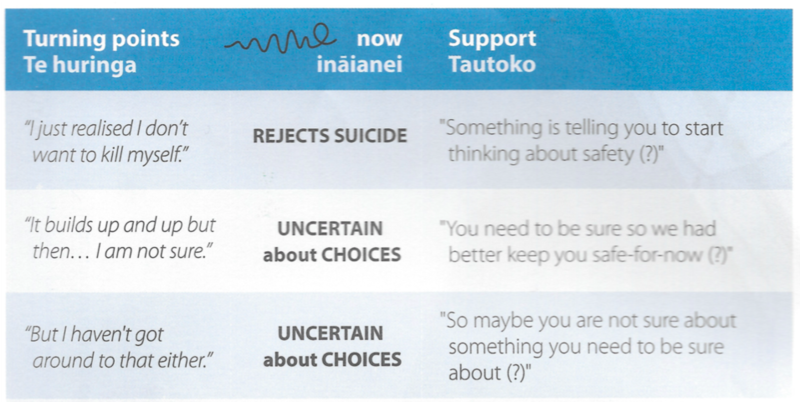 E: Ensure Safety – if there are current thoughts of suicide. 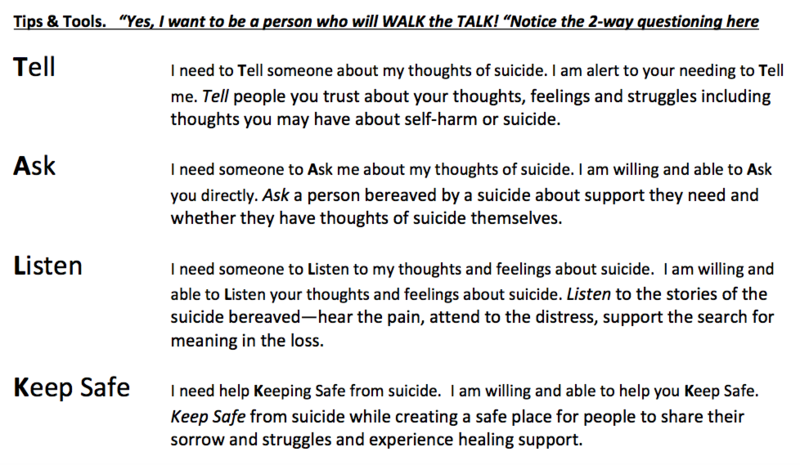 I: Identify Issues – explore what might have led to thoughts of suicide, and identify strengths. “What are some of the things that make you feel that way/like ending your life?” “Do things feel worse at home or at school, or somewhere else? O: Observe – look out for changes in activity/personality, and possible anchor points to life.